As the name suggests, liquid diet consists of liquids. If you need to lose weight, you may consider a liquid diet for some time. Food intake in the form of liquids is known to be easier to digest than solids and cleanses the body of toxins as well. Consequently, you get a fitter and a leaner body. Diet comprising only liquids seems to be the perfect way to manage weight. However, before shifting to a liquid diet, you need to check whether this kind of diet is a healthy option for you. Your medical history as well as body type will play an important role in this regard. Have a frank conversation with your health practitioner and then proceed. The human body requires both solids and liquids to survive. Providing only liquid in your body would mean fulfilling only 50 percent of its needs. That is why a liquid diet plan is only beneficial in the short run. Even in the short run, you need to make the liquid regimen as healthful as possible. Opt for liquid diet recipes, which will not only help you in losing weight, but will also keep the level of energy intact. Try making chicken broth or smoothie diet recipes, which are rich in protein. Who can benefit from the healthy liquid diet? People, who are overweight, can all benefit immensely from liquid weight loss recipes. However, these recipes are utterly useful for people, who are suffering from obesity and cannot join a gym or a boot camp. In case you are in a rush to lose weight, you may try the 100% liquid regimen. In this diet plan, you will include liquids such as water, honey, soft drinks, fruit juice and cream-free tea and coffee. Adding a teaspoon of sugar in tea or coffee for breakfast along with 8oz of apple juice is a healthy option. For lunch, you can try variations of fruit juices like grapefruit and watermelon and a cupful of fruit ice. Make dinner interesting with hot tea, 8oz of broth and fruit ice. Note: Consider this all-fluid diet only after consulting your medical practitioner. This diet provides very less energy for the body to sustain for long. Although you are guaranteed to lose weight, you should not continue with this diet for over 4-5 days. Many times, because of the presence of toxins in the body, your weight loss program may prove to be ineffective. 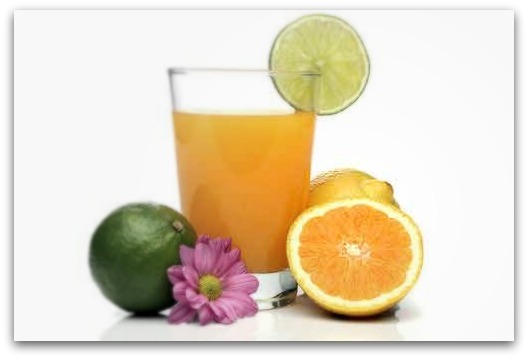 Detoxification through fluid diet leads to elimination of body toxins. When your body is free of toxins, the metabolism rate speeds up and you lose weight faster. In this diet, you are required to consume vegetable and fruit juices, lemonade, herbal tea, and vegetable soups every two hours. You can also have a smoothie detoxifying diet. Make a smoothie with half an inch long ginger, half cup diced mango, and one orange. Consume it as many times as you are hungry. A healthy and a long-term solution to overweights is a diet, which consists of protein in liquid form. Start by substituting solids in your lunch or dinner for protein shakes. Protein is the energy provider. Hence, with this diet, you will never feel exhausted and yet shed pounds. For better and quicker weight loss through this healthy liquid diet, you should try to consume protein shakes with at least 200 to 300 calories. Not consuming enough calories will lead to slow metabolism and increased hunger. Moreover, with the liquid protein diet, you may also follow a weight loss regime. It will help you in converting fat into muscles. However, it is advised that you should take up weight loss training only under the direction of a certified health instructor.